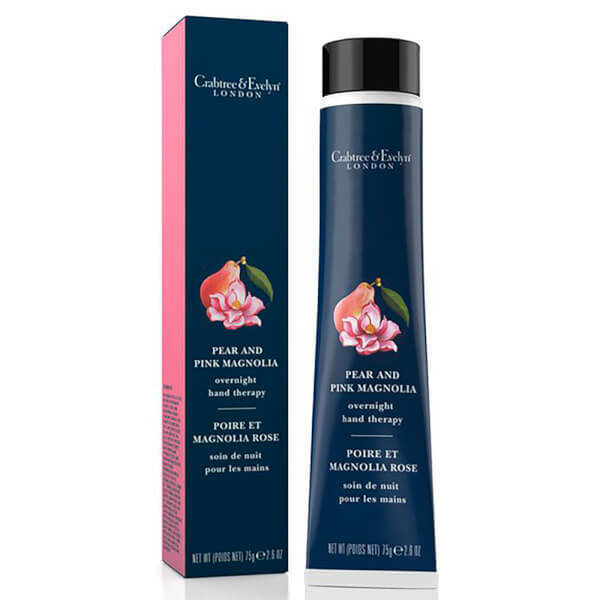 Treat dry, hard-working hands to the Crabtree & Evelyn Pear and Pink Magnolia Overnight Hand Therapy; a deeply nourishing formula dedicated to replenishing and regenerating skin. Supports the skin's natural moisture barrier to leave hands feeling smooth and comfortable with an enticing fragrance of fresh, juicy pear and delicate floral notes of magnolia, jasmine and osmanthus. No greasy or sticky residue. Presented in a matching gift box.